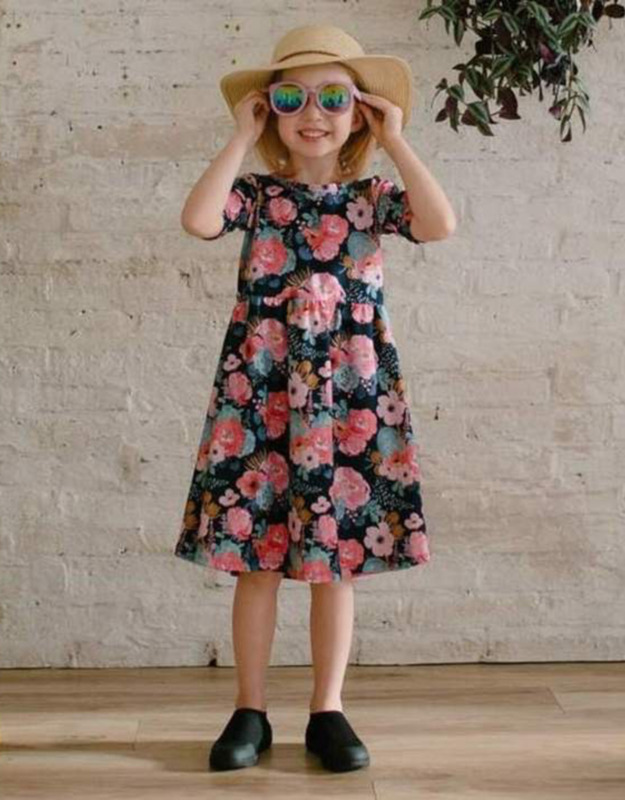 The Daphne Dress is a sweet little day dress perfect for playing and twirling. This style is so easy to dress up or down or pair with stockings and a cardigan in cooler temperatures. We even have a matching version in Youth and Adult sizes! Details: Fabric - 95% Cotton, 5% Spandex Machine wash cold & hang to dry. Ethically made in British Columbia, Canada.